The new federal regulations requiring conspicuous calorie counts for "restaurant-type food" not only force eateries, bars, bakeries, grocery stores and movie theaters across the country to present consumers with information. They force consumers to see that information, whether or not they want it, on the theory that they will be grateful when they recognize the error of their gluttonous ways. Putting aside the ethics of this paternalistic intervention, there are good reasons to question its effectiveness. There is little evidence that calling attention to the caloric content of food and beverages through mandatory disclosures on menus and signs affects purchases, let alone total consumption or weight. The new rules, which the Food and Drug Administration (FDA) issued last week under a mandate imposed by the Patient Protection and Affordable Care Act, dictate in picayune detail exactly how chain restaurants and various other victual vendors must present calorie counts. On menus, for instance, the numbers have to be printed "in a type size no smaller than the type size of the name or the price of the associated standard menu item, whichever is smaller, in the same color, or a color at least as conspicuous as that used for the name of the associated standard menu item, and with the same contrasting background or a background at least as contrasting as that used for the name of the associated standard menu item." The aim, the FDA explains, is to "increase internalization of future costs into current decision-making by making the long-term health consequences of consumer food choices more salient and by providing contextual cues of food consumption." Unfortunately (or fortunately, depending on your perspective), the government can make calorie numbers unavoidable, but it can't force consumers to act on that information, and research indicates that they generally don't. Perhaps the strongest evidence in support of the new regulations comes from a 2011 study reported in the American Economic Journal that found New York City's 2008 menu mandate was associated with a 6 percent drop in the average calorie content of items purchased by Starbucks customers. But that's a pretty modest change, and it's not clear whether it corresponded to a decrease in total calories consumed each day. Another potential weakness of that study: Starbucks customers are relatively affluent and probably are more calorie conscious than the average consumer. Similarly, a 2007 survey by New York City's health department found that customers at Subway, which heavily promotes a subset of its menu as lower in calories and fat than its competitors' offerings, were especially likely to notice nutritional information, although only 12 percent said it affected their purchases. By comparison, a 2009 study reported in the journal Health Affairs found that the average calorie count for meals at four fast-food restaurants in poor neighborhoods (McDonald's, Burger King, Wendy's and KFC) rose by 2.5 percent after New York's rule took effect. A follow-up study published by the International Journal of Obesity in 2011 found no evidence that mandatory calorie labeling affected orders by adolescents or by parents buying meals for their children. 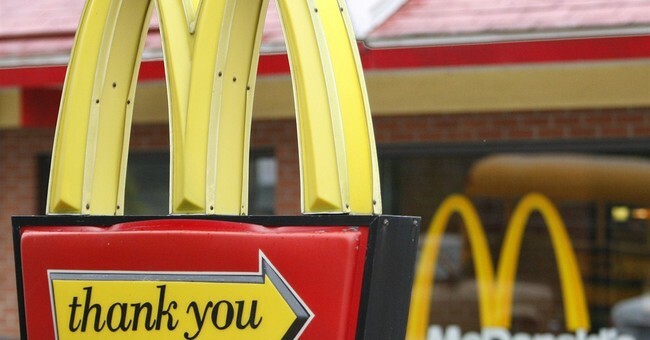 Another New York City study, reported last year in the American Journal of Public Health, considered whether informing customers about recommended calorie limits (as the new FDA rules require) affected purchases at McDonald's. It didn't. "Putting calorie labels on menus really has little or no effect on people's ordering behaviors at all," the lead author of that study told NBC News. She noted that "the people who set these policies aren't very representative" of the people whose behavior they are trying to change. In other words, people who wouldn't be caught dead at McDonald's mistakenly assume that Big Mac fans will be just as interested in calorie counts as they are. They fail to consider the possibility that the real issue is not lack of information but differences in tastes and preferences. The result is a policy that imposes heavy burdens on businesses without making their customers any lighter.